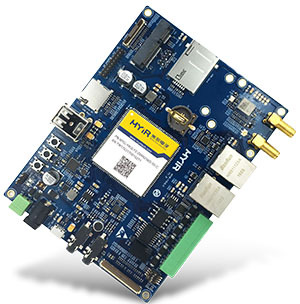 MYIR is a NXP Approved Engineering Consultants Partner, welcome to use MYIR's NXP series products! 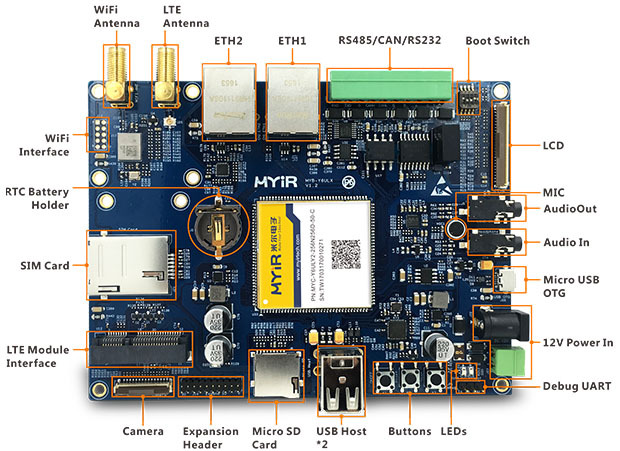 The MYD-Y6ULX development board is a complete evaluation module (EVM) for NXP’s i.MX 6UltraLite / 6ULL processor family, which can operate at 528 MHz and features the most efficient ARM Cortex-A7 core, providing various memory interfaces and enhancing the flexibility and convenience of the board to connect peripheral devices. The board is ready to run Linux and supports industrial operating temperature range from -40 to +85 Celsius. The MYD-Y6ULX development board employs the MYC-Y6ULX CPU Module as the System on Module (SoM) controller board by populating the CPU Module on its base board through 1.0mm pitch 140-pin stamp hole interface. 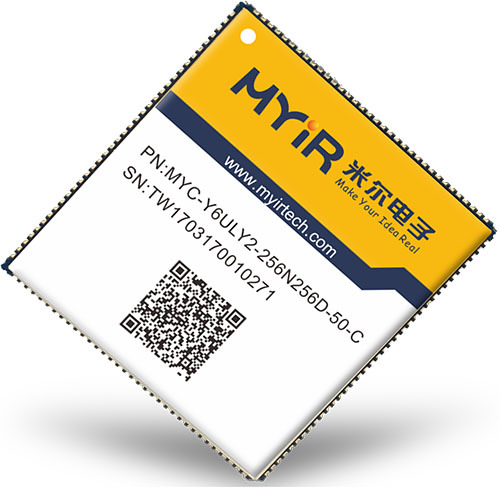 The MYC-Y6ULX CPU Module is mounted with a shield cover and integrated with core components including i.MX 6UL / i.MX 6ULL Cortex-A7 processor, 256MB DDR3, 256MB Nand Flash or optional 4GB eMMC and Ethernet PHY. 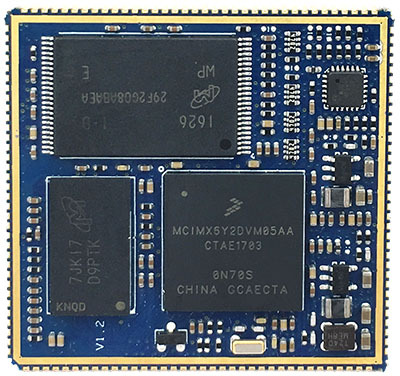 The base board has extended rich peripherals through connectors and headers like Serial ports, USB, Ethernet, CAN, Micro SD card, WiFi module, LCD/Touch screen, Camera, Audio as well as an optional Mini PCIe interface for USB based 4G LTE module. 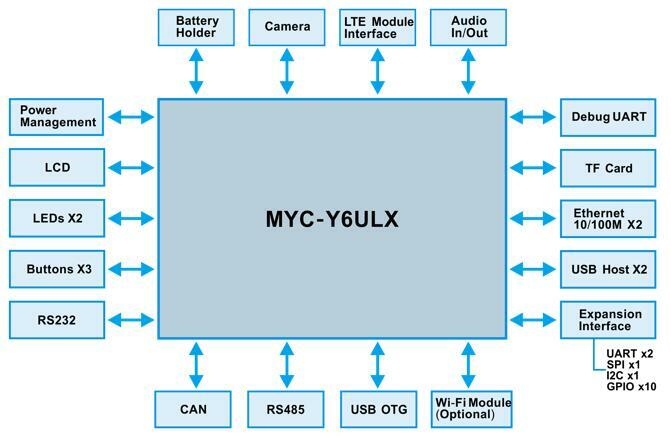 It is a versatile platform and solid reference design delivered with necessary cable accessories as well as detailed documentations ideal for prototype and evaluation based on i.MX 6UL / 6ULL solutions. 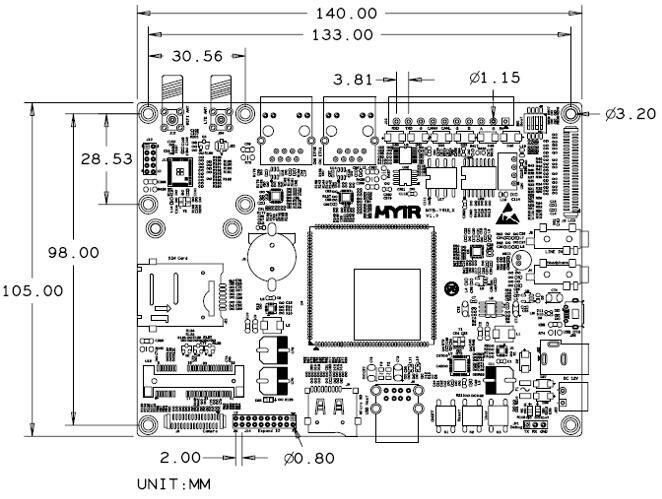 MYIR offers various models of MYD-Y6ULX development boards with mainly different features as shown in below table. User can select model according to their own requirement. WiFi Module can only support -20 to +65 Celsius. Note: the peripheral signals brought out to the expansion interface are listed in maximum number. Some signals are reused. Please refer to the processor datasheet. 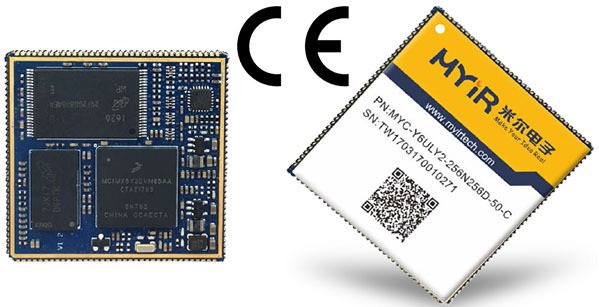 The MYC-Y6ULX CPU Module is using the 14 x 14mm, 0.8 mm ball pitch, 289 MAPBGA package 528 MHz i.MX 6UltraLite / i.MX 6ULL ARM Cortex-A7 application processor which provides multiple compatible options of G0, G1, G2, G3, Y0, Y1 and Y2 sub family. 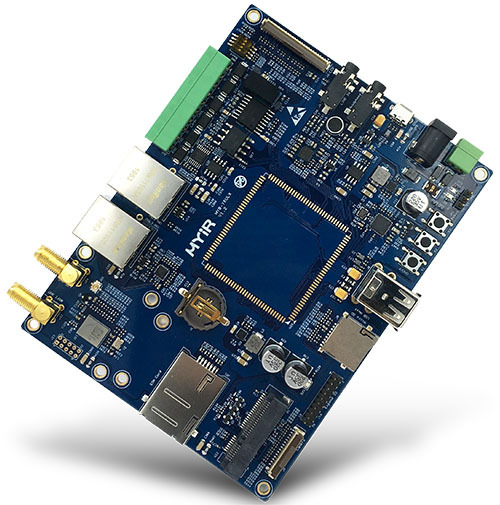 The MCIMX6G2CVM05AB and MCIMX6Y2DVM05AA are optional as the default part with the board. The i.MX 6ULL is a power efficient and cost optimized applications processor family featuring an advanced implementation of a single ARM Cortex-A7 core, which operates at speeds up to 900 MHz. The i.MX 6ULL applications processor includes an integrated power management module that reduces the complexity of an external power supply and simplifies power sequencing. Each processor in this family provides various memory interfaces, including 16-bit LPDDR2, DDR3, DDR3L, raw and managed NAND flash, NOR flash, eMMC, Quad SPI and a wide range of other interfaces for connecting peripherals such as WLAN, Bluetooth®, GPS, displays and camera sensors. 1. 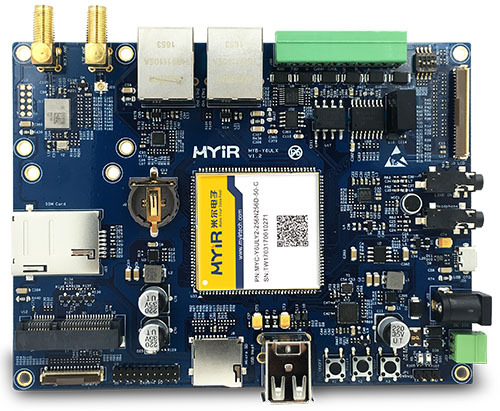 One MYD-Y6ULX Development Board includes one CPU module MYC-Y6ULX populated on the base board. If you need more CPU module, you can order extra ones. 3. The boards of commercial grade can work in 0~70 Celsius. The boards of industrial grade can work in -40~85 Celsius. But the WiFi module on board can only support -20~65 Celsius. 4. We accept custom design based on the MYD-Y6ULX, whether reducing, adding or modifying the existing hardware according to customer’s requirement.